We are very pleased to announce that we reached our next milestone on the site of TEAM Terminal! The tower crane, placed in the middle of the tank was disassembled and the floating roof is finished right on schedule. Since time is ticking and the weather can have a big influence on our work, we had to come up with an innovative solution to ensure a smooth continuation. 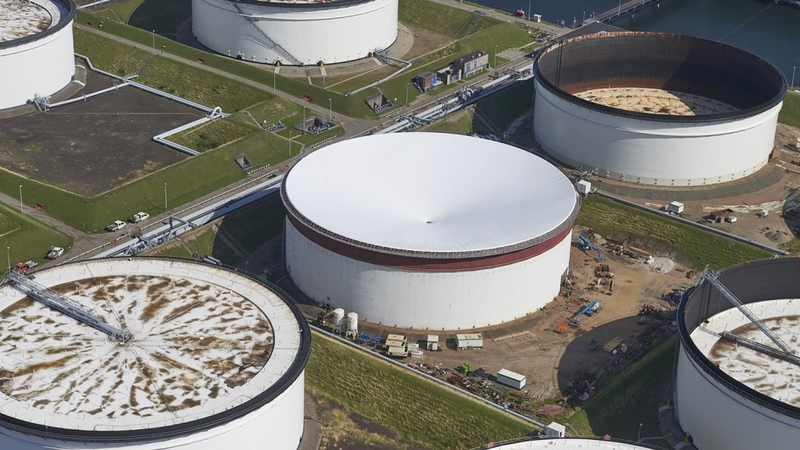 A tent cover (with its 73m, the biggest one placed in the Netherlands) was pulled over the tank to paint in ideal conditions. In this good flow, we are now on our way to the last milestone before end date, placement of the rolling ladder. Meanwhile, the good news just keeps on coming… With great excitement we can tell you that our partnership will keep thriving, since our hard work was rewarded with already two following tank maintenance projects. We want to thank TEAM Terminal for this positive cooperation and the trust they put in us for the future.